Looking back over the past 29 years of my life, and the things that I have accomplished, I must admit that I am pretty darn proud of myself. I am one of those big list makers that love to check things off as I complete them, sometimes going as far as writing something on my list that I have already done, just to cross it off *dont judge me*. I guess I love the feeling of accomplishment. I carry around a notebook in my purse where I like to list thoughts as they enter my head. Well, one recent thought was prompted by Melissa Jill’s blog, where she talks about 101 things she would like to do in 1001 days. Hmmm, personally for me, my attention span is too short, and 1001 days just seems like forever! So I opted for a different spin where I could sorta receive an “instant” feeling of gratification (so to speak). That’s when I began thinking about 30 things that I would like to accomplish by the time I turn 30 in April of next year. Yep, the BIG 3-0! I have been so blessed to set out and accomplish my past goals that I wanted to challenge myself a bit further, with a little fire under my behind. Some things I am just good at putting off, then another year passes, then another year, then…well you get the point. And honestly, I am just tired of it. I even went as far a challenging a few friends of mine to tackle the same list, since we all pretty much turn 30 in 2013. Anxious to see my list? Well darnit, here ya go! All of the things on my list are free or inexpensive, yet very gratifying. Some things on my list I have just been putting off out fear, some out of neglect, some out of just pure laziness, and some just plain out of neglect. Am I the only one guilty of any of those things? Oh, ok, I guess I am. 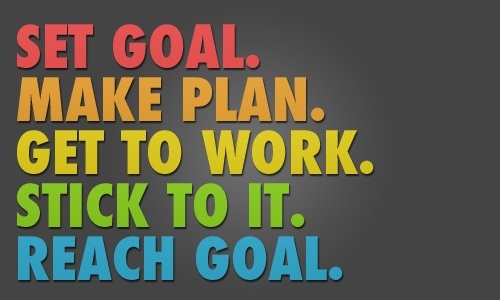 I honestly look forward to the challenge, and have even begun moving toward some of these goals. I can’t wait to share my progress. Just make sure you guys hold me accountable, k? Anybody else interested in partaking in this challenge? It doesn’t have to be a 30 by 30…it could be 40 by 40, 53 by 53, or 22 by 22. Whatever your soon to be age, just list our your challenges based on that number. That simple. Just make sure you have someone to hold you accountable, and vice-versa!